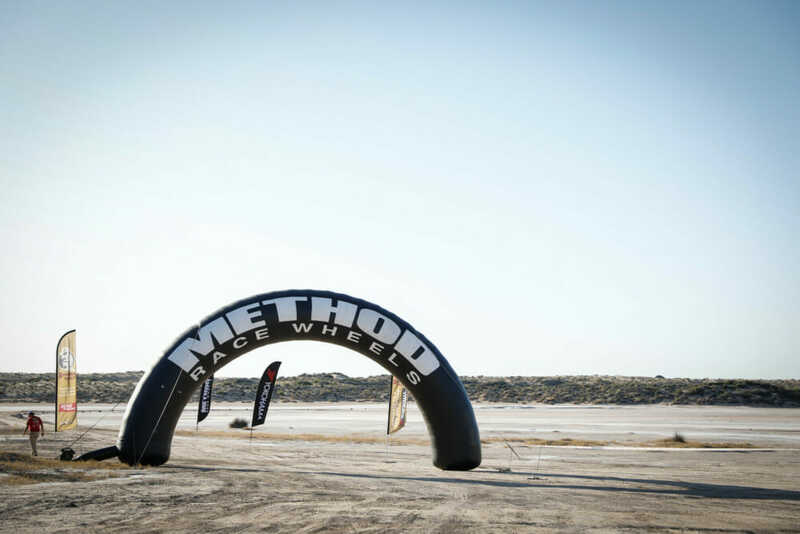 (March 20, 2019) – Puerto Peñasco [Mexico] welcomed racers into a large parking lot alongside the beach in the midst of transformation into Bivouac number three. Ricky Brabec #2 [came] in a solid 20 minutes before Skyler Howes #1, who had also built a wide gap between himself and the next rider. Both riders appeared unfazed by the stage, even expressing enthusiasm about taking on the dunes. Brabec mentioned in passing that he prefers the pace in the sand and explained it can actually be easier to hit waypoints on the bullseye. 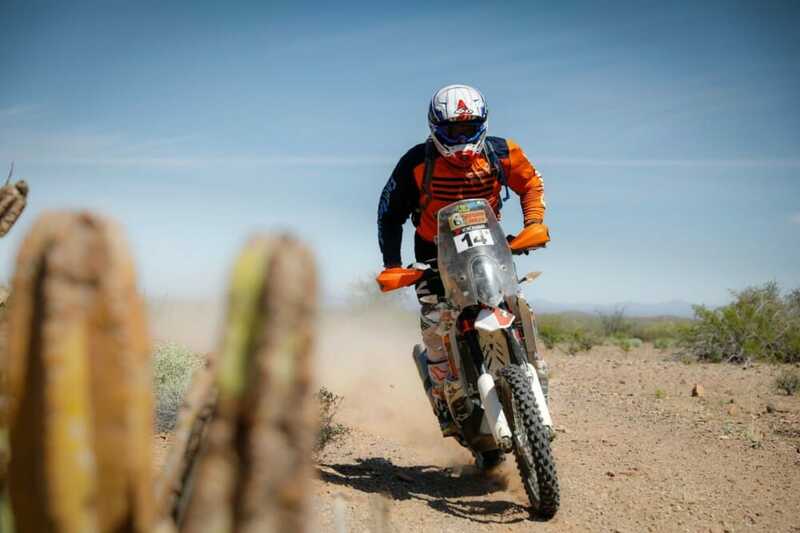 Howes, the 2018 Sonora Rally champion, applied all the skills and experience he’d picked up from racing the 2019 Dakar to what was once a personally dreaded section of the racecourse. The journey from Puerto Peñasco to Puerto Libertad was a demanding one indeed, shedding substantial weight from the rankings. But a war still wages on among those left to fight these final two battles. 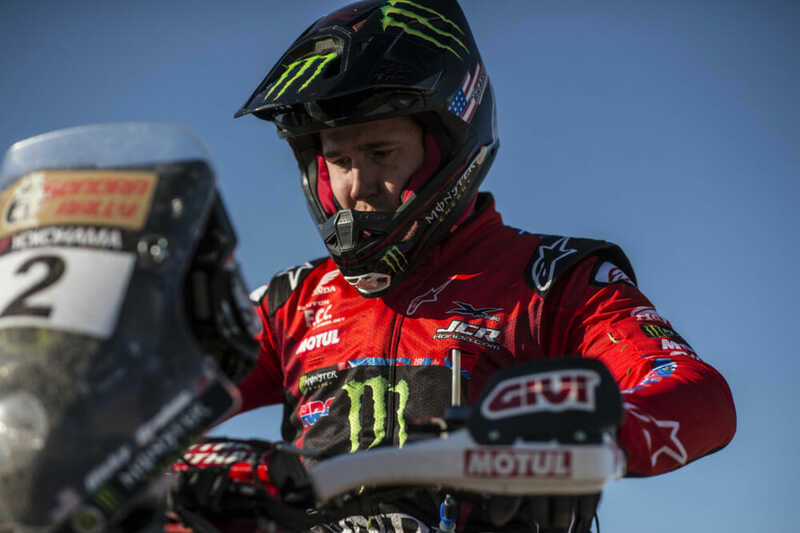 Challenging navigation seems to be a trend this year, as are the epic landscapes and formidable terrain – quite akin to what teams faced at the Dakar Rally last January. Though the racecourse broke free of the dunes for most of the event’s third Special Stage, what little of the deep sand was seen still caught many pilots off guard. Unsurprisingly, we saw the same two faces at the front of the Pro Moto class: Ricky Brabec #2 and Skyler Howes #1. Howes was making good time and could have probably nabbed his first stage win of the race if not for his navigation tower rattling of his bike and snapping in two. Duct tape to the rescue, he was back on course in a flash, but unfortunately, not fast enough to catch up with Brabec. Charging through their wake, in third overall is Rally Comp’s very own Mike Johnson #33, while Pro Aaron Richardson #15 follows by nearly hour. In the Enduro class, Matt Sutherland #25 holds the lead above Kyle McCoy #31 and Vasile Scurtu #21. 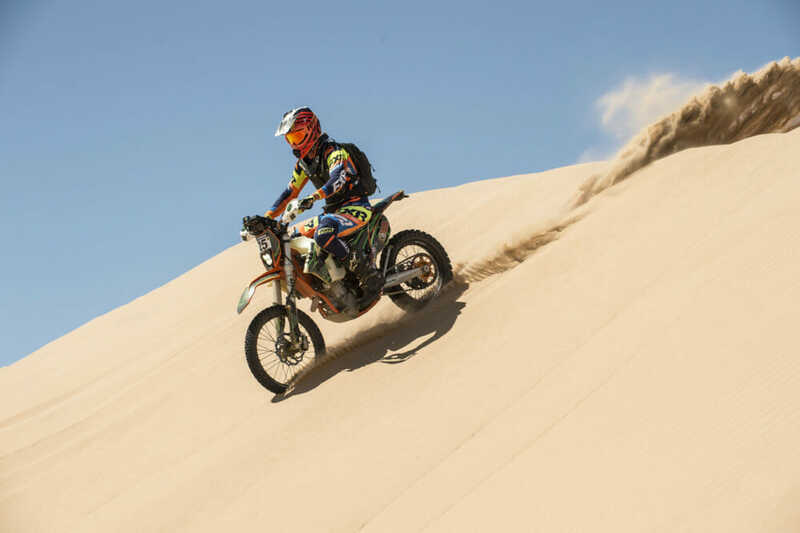 Even if Richardson doesn’t take a place on the podium this year, he seems a shoo-in to win the Morocco Challenge – distances between the riders begin at a two-plus hour gap – which offers complimentary admittance to race to the Rallye du Maroc in October to the champion.